"Vertical housing has transmuted in a generation into a movement of the elites into super-expensive condo towers." Cities around the world are now segregated by height, with the world's wealthiest living at the highest points. It's a new form of class war from above, the politics around which are under-explored. In this edited extract from Vertical: The City from Satellites to Bunkers, Steve Graham looks at how the geography of inequality, politics, and identity is playing out in our increasingly vertical and unequal cities. 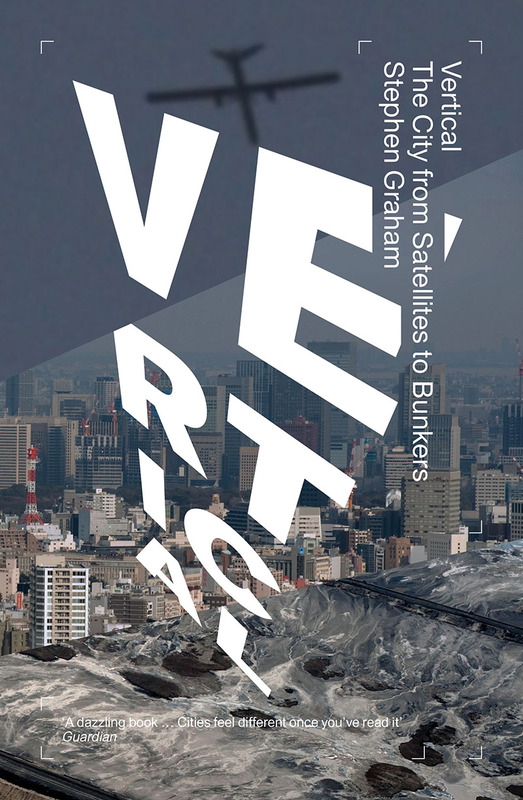 Vertical: The City from Satellites to Bunkers is currently 50% off with free shipping as part of our end-of-year sale. Given London’s status as the site of the largest concentration for ‘ultra-high net worth individuals’ on the planet, it is no surprise that developers there are similarly focusing overwhelmingly on building super-high-end, and increasingly super-tall, £2 million-plus properties for the global überwealthy. In 2013, 85 per cent of all housing purchases in inner London – largely those in the higher and ‘super-high’ price brackets – were being snapped up by non-UK nationals (mainly nationals from China, Singapore, Malaysia, Russia and Hong Kong, places where London real estate agents hold lavish prebuild sales events). Such frenzied speculation, often as a means of anonymously recycling money derived from corruption in a city now widely regarded as the world capital of money laundering, is pushing already-astronomical prices further ‘into the stratosphere’. 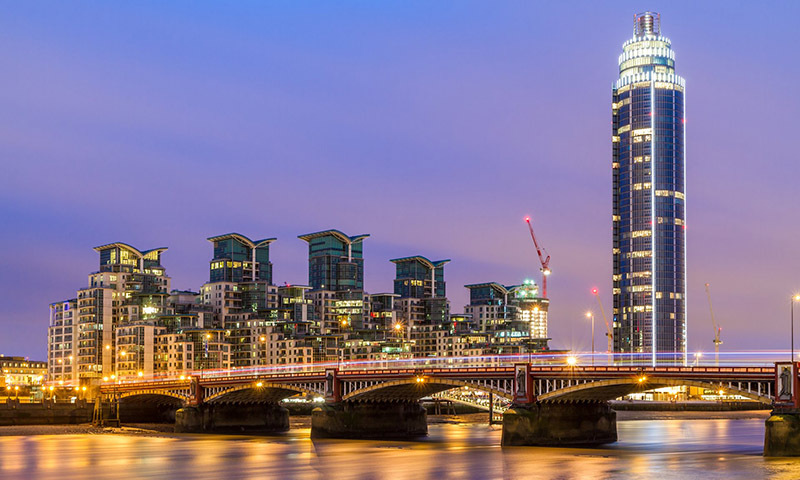 Startlingly, as in New York, the numbers of residential super-high towers in London are rapidly overtaking the more traditional towers of corporate and banking headquarters. In the biggest reorganization of London’s urban form since the rebuilding after the Great Fire in 1666, over 250 towers of at least twenty storeys are now in the pipeline. The shift in profitability is such that office towers are also being converted to residential uses. As in Vancouver, the vast majority of these towers, egged on by London’s government for consolidating the skyscraper skyline of a prominent ‘world city’, are being justified using vague platitudes about ‘density’ and ‘sustainability’ when in fact they are merely built as investment opportunities for global elites. Indeed, the 6 per cent of demand within the £2 million-plus category of so-called ‘new prime’ market for the elite is currently receiving 50 per cent of all housing investment in London. This is almost equal to the entire investment going to house the 50 per cent of the city’s population – fully 4 million people –who live on earnings of less than £50,000 per year. Real estate economics are also obviously pivotal. One market report in 2012 described the economics of marketising air, verticality and spectacular views in plain terms: ‘In terms of height, the general rule is, “the higher the apartment, the greater the price premium”. This not only reflects the enhanced views, but also the increased exclusivity of living towards the top of a tall tower.’ The report estimated that, for every floor upwards in London, market values for elite residential apartments per square foot increase by 1.5 per cent. Adding the name of a famous architect and fitting the unit out with balconies, exceptional space standards and super-high-end bathrooms, floors, kitchens and technology further compounds such increased profitability. Meanwhile, the totally inadequate production of affordable or social housing means that London’s poorer and middle-class populations are either displaced altogether or squeezed into ever more overcrowded and overpriced accommodation within the rest of London’s housing stock. Between 2012 and 2015, over 50,000 low-income families were physically displaced from inner London because of the housing crisis combined unprecedented cuts in welfare funding. London’s remaining estates of social and council housing – and the inherited legacies of modernist mass social housing such as the Heygate Estate in Southwark on the South Bank – meanwhile, are being ‘regenerated’ in ways that displace residents, re-engineer the areas as upper-middle-class or elite housing, and offer token units of affordable housing by way of camouflage. In such cases, the crumbling legacies of visions of mass social housing organised vertically with high levels of space, services and greenery are erased, to be directly replaced by new elite towers. Controversially, many such towers are also being designed with separate, utilitarian ‘poor doors’ which shift the small number of lower- income tenants far away from the luxurious street-facing foyers reserved for affluent owner-occupiers. 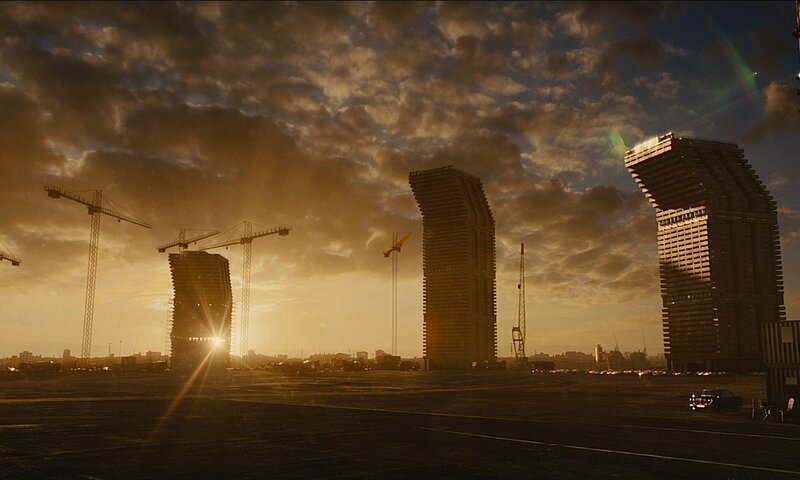 Prompting social conflicts reminiscent of Ballard’s sci-fi novel High Rise, social or ‘affordable’ housing tenants of the blocks are also often denied access to collective gardens because they don’t pay full maintenance charges. On other occasions, faults in water supplies have led the owners to supply temporary hosed water – but only to wealthy owner-occupiers. Social housing tenants also complain that their apartments are often not marked on entrance signs to developments. ‘At Elephant and Castle in south London’, the Independent’s Mira Bar-Hillel observes, referring to Heygate’s regeneration-by-demolition, ‘a council estate where over 1,500 families lived is to be replaced by developers Lend Lease with over 2,000 private homes, and it’s rumoured that only 79 will be for social renting. Southwark Council describes this as “regeneration”.’ Even single-bedroom apartments within the new development will sell for well over £400,000. The impact of speculation on central land values, and the huge profits to be made from replacing the neglected remnants of social and municipal housing with elite housing towers, radically undermines the chances that large-scale social housing will survive in London’s core. Instead, as in New York, the super-elite is taking to the skies. Vertical housing has transmuted in a generation into a secession of the elites into super-expensive condo towers. While not completely ignored, the politics surrounding this process remain under-explored. It is clear that the circulation of images of the spectacular demise of housing projects like Pruitt-Igoe or Red Road increasingly ceases to connect to any reasoned discussion of the complexities surrounding vertical social housing. Instead, in bolstering grand stories about social high-rises, they stand as incitations to never build vertical socially oriented housing in the West again. Like Alice Coleman’s essentialising critiques, they stifle creative debate about how well-designed, well-managed and affordable housing in Western cities in the future might take other forms than low-level apartment blocks or the ground-hugging neo-traditional houses with their Newmanian defensible space, so beloved of New Urbanists. Meanwhile, bolstered by trickle-down ideas like those Ed Glaeser, in parallel with the evisceration and privatisation of the inheritance of social housing, city cores are being systematically re-engineered through speculative real estate and financial bubbles as the spaces for neo liberal elites. With mass social housing projects largely undermined by processes of neoliberalisation within many contemporary cities, vertical housing – as with so many aspects of the politics of verticality – has transmuted in a generation into a secession of the elites into super-expensive condo towers. Indeed, the widespread construction of vertical, gated towers for the merely wealthy and the super-rich in many cities now rivals their more familiar horizontal shift to gated suburban, exurban or resort enclaves. While not completely ignored, the politics surrounding this process remain under-explored. As already discussed, this is partly because the growth of glitzy housing towers for the wealthy in city cores is often being camouflaged by suggestions that such towers are part of a needed movement to ‘densification’ and increased urban ‘sustainability’. 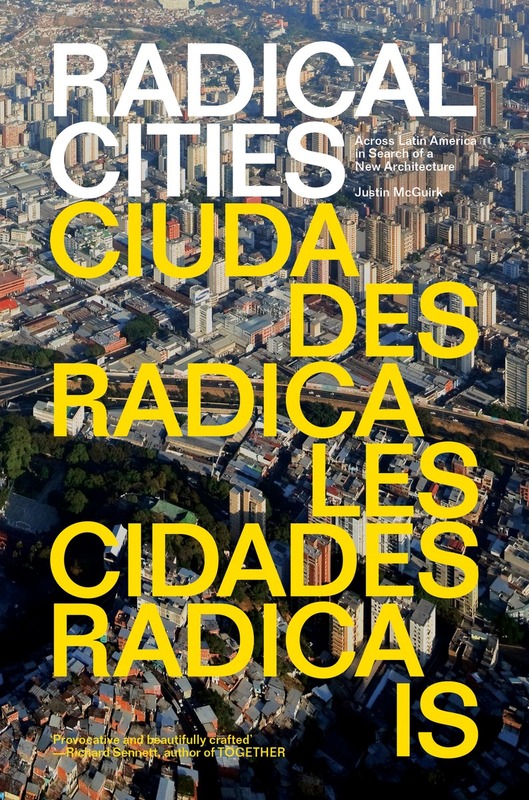 The elite take-over of the urban skies is also neglected because overwhelmingly horizontal frames are used – especially in the Anglophone world – to discuss and imagine urban inequality. 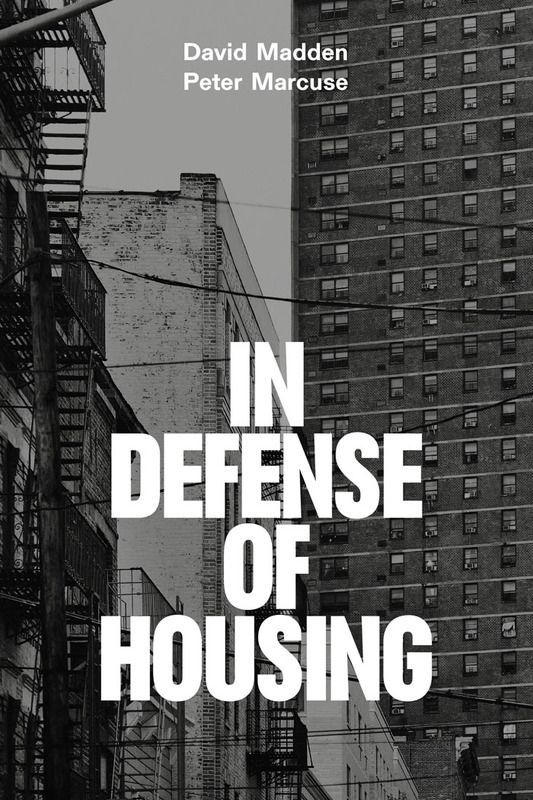 Thus far, arguments about the clustering of elites into fortressed enclaves have tended to be, as anthropologists Kevin Lewis O’Neill and Benjamin Fogarty-Valenzuela put it, ‘supremely horizontal observations’ linked with studies of gated communities and fortified enclaves in the suburbs and exurbs scattered to the peripheries of cities. A growing range of urban writers and activists are, however, starting to address the ascension of the fortressed elites. Anti-gentrification social movements in cities as diverse as San Francisco, Istanbul, Tokyo, London, Hong Kong, Manila, Delhi, Mumbai, Vancouver. Melbourne and Toronto – where over 85 per cent of all central housing construction is now in the form of condominiums – now actively suggest that the central landscapes of these cities are being transformed through processes of ‘vertical sprawl’ erecting large numbers of ‘vertical gated communities’. As geographers Jamie Peck, Elliot Siemiatycki and Elvin Wyly argue, the Vancouver model has been sold as a ‘winning combination of density, livability and sustainability – all rendered seductively real in the forest of glass-walled condominium towers that has colonized the downtown core since the late 1980s.’ Beneath the boosterist gloss, however, and despite laudable efforts of planners to protect key sightlines and integrate towers into the streetscapes below, they diagnose an effective suburbanisation of Vancouver’s downtown. This has occurred, they argue, as the gentrifying speculation of condo towers, fuelled by the flow of money from wealthy Asian investors, has remade the central city as an increasingly homogenous, exclusionary and – because many condos are bought as assets that are rarely used –sometimes even uninhabited space. Vancouver’s formulaic repetition of architecturally cloned, squeaky-clean and socially homogenous towers can be seen, indeed, as an implantation of suburban logics into a previously much more diverse and unpredictable – that is to say, urban – landscape. ‘If the condos of Vancouverism were once seen as edgy and innovative, by virtue of their challenge to North America’s picketfence hegemony’, Peck and his colleagues write, ‘their subsequent commodification, materially and culturally, is reducing them to vehicles for capital gains accumulation and marketing clichés.’ Startlingly standardised, with their hardwood floors, high-end appliances and granite worktops, the condos in Vancouver have become ‘highly fungible [that is, interchangeable] and slickly marketed investment commodities’. Designed to consume the most spectacular views of Vancouver’s alluring combination of ocean and mountain vistas, and offering a gamut of luxury facilities and services within street-facing podium structures – tanning salons, private cinemas, pools, bars and shops –Vancouver’s condo towers have been widely lauded by planners across the world as means of improving urban ‘sustainability’ and ‘localism’ and sustaining ‘smart growth’. Such structures, the argument goes, increase the density of core populations within walkable neighbourhoods. At the same time, they are praised for reducing shifts of the wealthy to auto-dependent suburbs, bolstering municipal coffers and paying, through real estate taxes, for wider infrastructure improvements and public services that the whole city can use. Such arguments are often questionable. Central-city condos for the wealthy tend to be built with lavish parking garages. Social and lower-cost housing also tends to be notable by its absence within such blocks. In a study of condo developments in Toronto, architecture researcher Michael Panacci found that the top of the building podiums, replete with lighted lagoons and luxury bars, often tends to be more active than the real street below, which is often now fringed by the highly securitised buildings and their car-garage entrances. Panacci’s research also shows that neighbourly interaction between the residents of new condo towers is often minimal. Such mixing is now made especially difficult by the design of exit-only stairwells and securitised elevators that allow residents access only to their ‘home’ floors. Instead, the ‘repetitive residences become hermetic pods, supported by luxurious facilities and in-house amenities. It’s an easy matter to emphasise suitability when the rest of the city is pushed to the perimeter, visually and mentally.’ This distancing is in fact emphasised in the marketing and naming of new towers. Gleaming structures are depicted in brochures and ads as completely isolated structures surrounded by wooded parks that don’t exist; one tower in central Toronto is even labelled a block of ‘flying condominiums’ invoking the raising up of living space as a shift away from the terrestrial city altogether. Far from reducing the cost of housing for people who already live in the city – a central tenet of Ed Glaeser’s argument – the powerful and globe-spanning speculative forces unleashed by this process have merely hiked up housing prices ever more beyond levels that can be sustained by locals drawing wages from the relatively weak local economy. Vancouver has by far the highest housing costs of any Canadian city. And yet some of the new condo districts in the downtown are eerily quiet because they are in effect resort spaces bought up by wealthy elites in Asia and elsewhere in North America, to be used during the odd skiing or summer vacation. Far from being a model of sustainability, affordability, and liveabiliy, then, Vancouver, as local architect Bing Thom puts it, has been remodelled into ‘a tourist resort and a place to park money’. Extracted from Vertical: The City from Satellites to Bunkers by Stephen Graham - currently 50% off with free shipping as part of our end-of-year sale. See all our Architecture and Cities books here - also 50% off as part of our end-of-year sale.